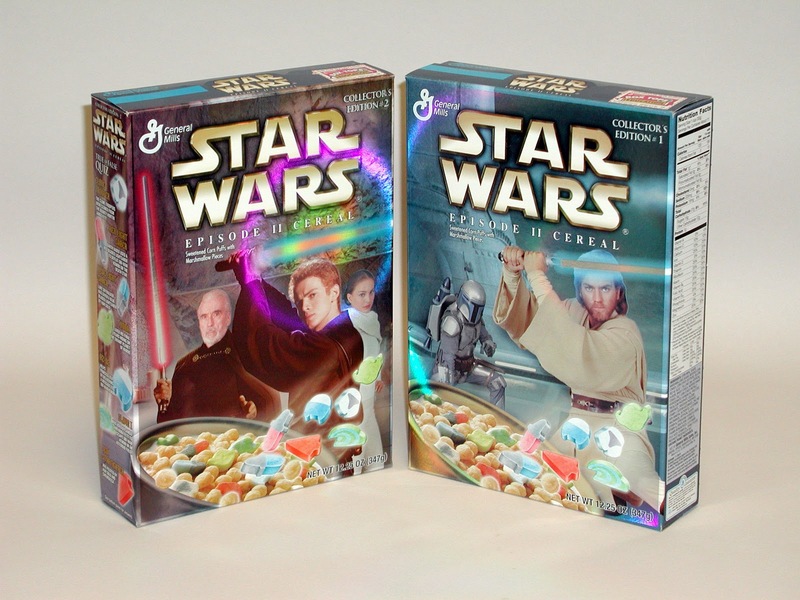 Fruitless Pursuits: The Phantom Menace Cereal Toys We've Waited 12 Years For! 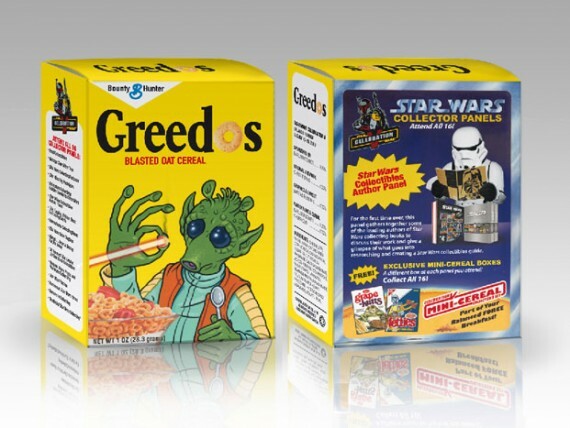 Kind of weird.., but not as weird as the Jar Jar one. 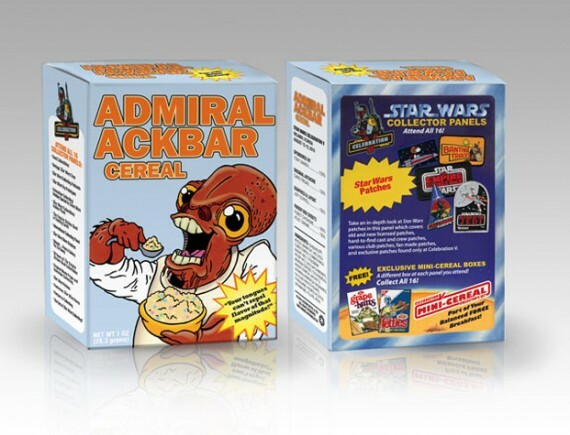 That's probably the most awkward thing I've ever seen. 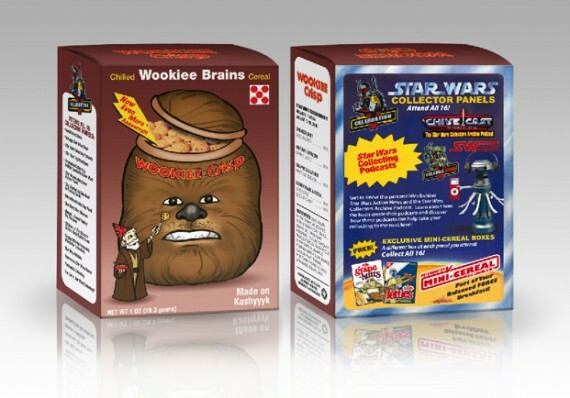 They're not all as weird as Jar Jar. 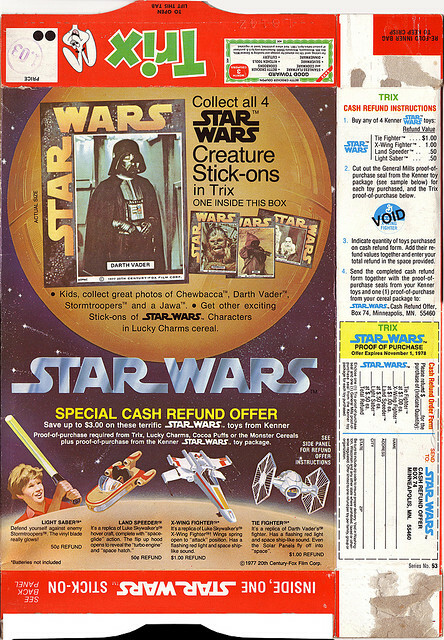 Darth Maul actually looks really cool. 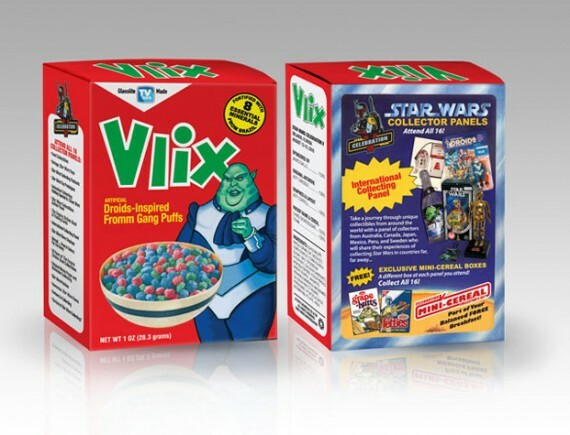 Star Wars cereal hasn't always been this weird though. 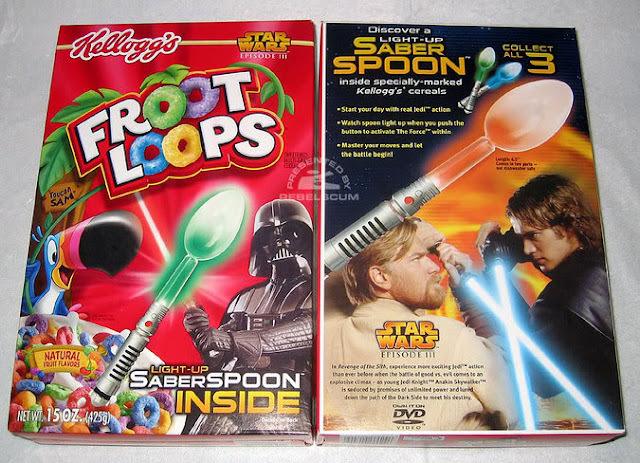 Just a few years back there were these awesome Saber Spoons and I'm kicking myself for not buying any. I would use it for every single meal. 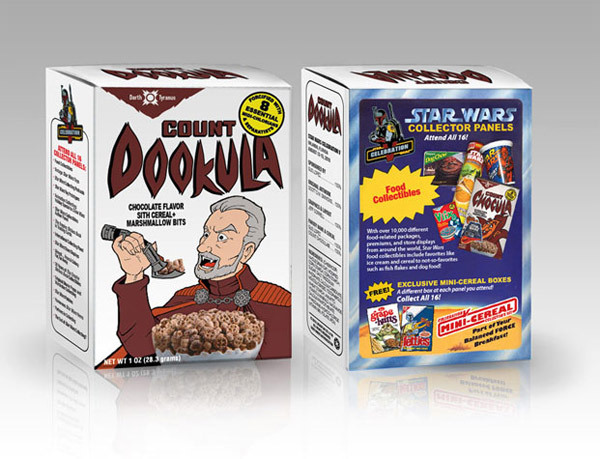 If you thought pens were lame, check out these Star Wars "Creature Stick-Ons" (which may or may not just be stickers). 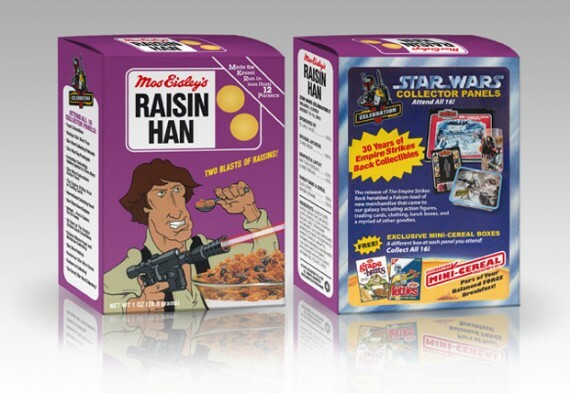 And how about actual Star Wars cereal? 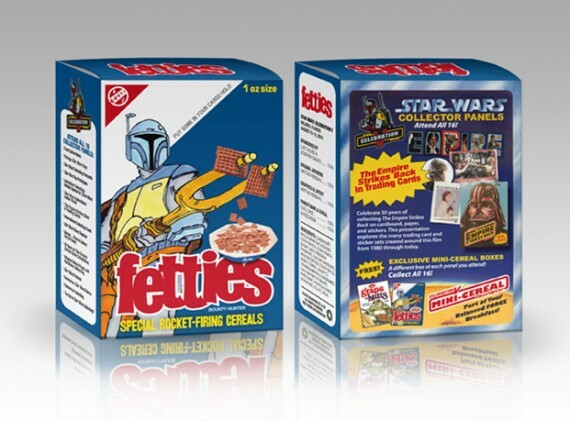 Did you know C3P0 was the first Star Wars character to get his own cereal? I never had the opportunity to taste the C3P0's, but I was pretty addicted to the Episode II cereal for a while. 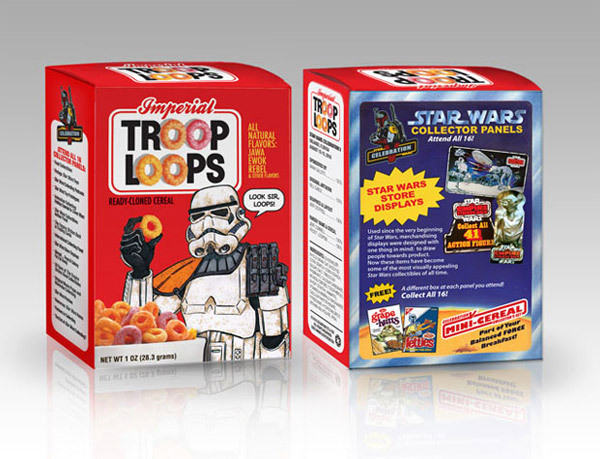 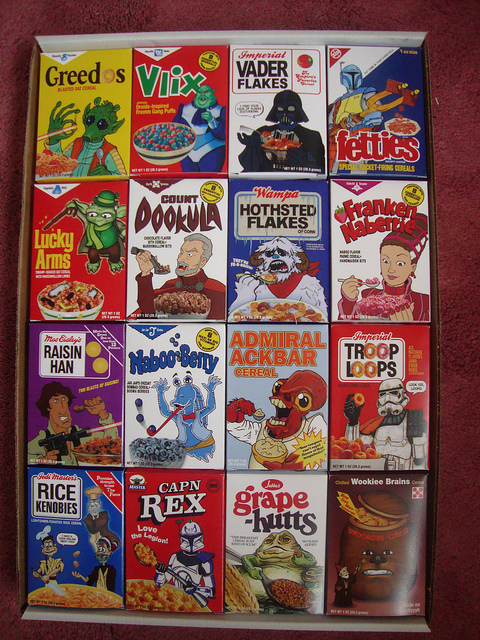 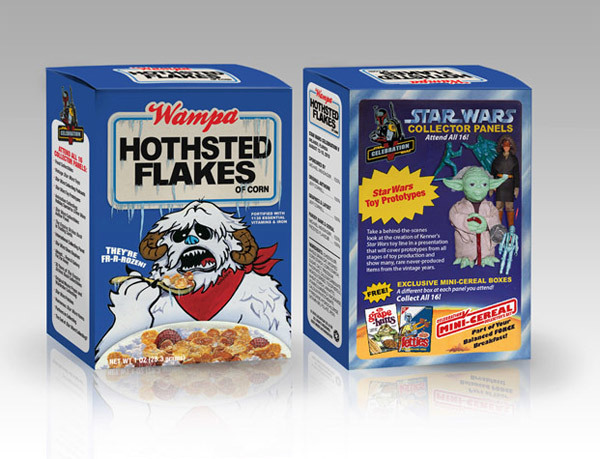 And last of all, check out these AMAZING custom made Star Wars cereal box designs. 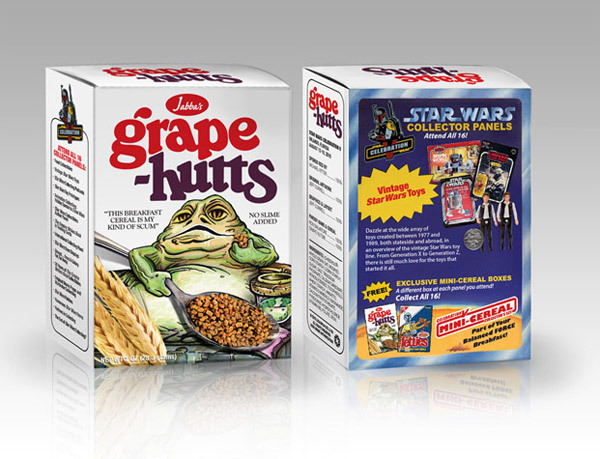 They were given away at the Star Wars Celebration in 2010.